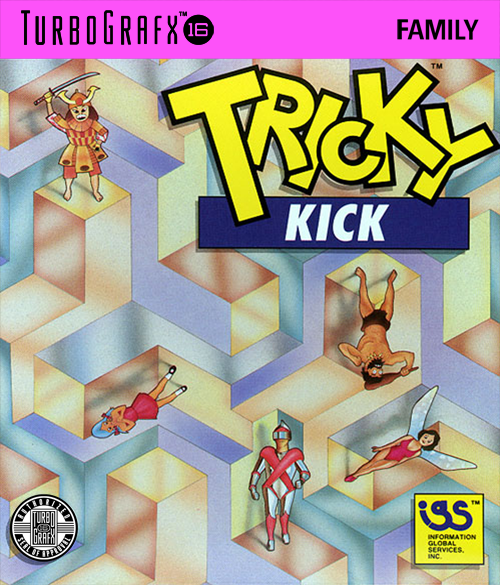 Tricky Kick is one of a seemingly long line of odd choices for games to release on the TurboGrafx-16. Don’t get me wrong, as puzzle games go it is a pretty decent game and puzzle fans should enjoy this one. It’s just that given the relatively small quantity of games released for this system in North America, I’m not sure that this one really did much to draw new people to the system. 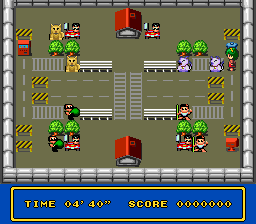 The game consists of six scenarios. However, regardless of scenario, the basic gameplay is the same. It’s just the theme and level layouts that differ. Your goal is to kick various creatures through a landscape littered with obstacles until you match up its pair. It is a single-player game but the amusement factor increases greatly with an audience. It is a great sort of party game even if it is only single-player. The game’s flaw isn’t being a bad game. It’s being an obscure title on a relatively obscure system with simplistic and odd artwork on the box. 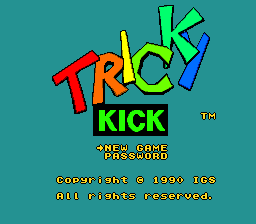 There were lots of these sort of titles on the TG-16. There are various reasons but the biggest reason was Nintendo’s draconian hold on its licensees. 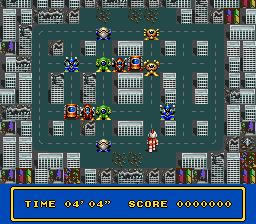 You weren’t likely to see the same game on the TG-16 as you would see on the NES or SNES or even games by the same company in many cases. Nintendo’s licensing rules were too strict for that. The TG-16 did much better in Japan though where it was a shooter fan’s dream. Puzzle fans should definitely give this one a try. You will have to track down an original copy (they are relatively inexpensive) or use emulation though as it has not had a re-release on any newer system.